Builders Guildford wide come in all shapes and sizes. There are so many construction companies operating in the area that it can be very difficult to choose a firm that is reliable, responsible and ideally suited to your project. This is a valid issue whether you’re a home owner looking to build an extension or whether you’re a property developer sticking to a budget for a set of new builds. If you’re searching for builders Surrey wide, you’ll no doubt need to do your research. Choosing the correct company will save you plenty of trouble further down the line, so don’t rush into a decision and consider your options carefully. Home builders in Surrey wide often have a difficult task. Many homes in the county have a very distinctive style and any extensions or new builds must take account of that style. When you’re searching for a builder in Surrey it’s wise to do your homework. If you’re hoping to renovate your loft, for instance, then you’ll want to hire workmen adept in loft conversions. Equally, if you’re starting development on a property from scratch then you’ll probably need expert assistance. Planning a new home from the ground up is a rewarding job that gives you the closest to ultimate control over your home that you’re ever going to get. The possibilities are endless, constrained only by your budget and timescale. Even then, a good contractor can help you stretch the limits and develop something truly incredible. Choosing the right builders can make the difference between completing your new home on time and on budget; and failing at any one of a hundred hurdles that may spring up as you progress. A good contractor knows that even the most detailed plans can fall apart and it’s important to hire somebody you trust to be able to deal with any unexpected delays or problems they encounter along the way. This may mean that a local small firm of perhaps one or two builders is unsuited to your needs. Remember, this home that you’re developing is not only going to be somewhere to live, it’s going to be a financial asset in years to come and deserves every care. There is more than one way to add more space to your home if you need it, so it’s well worth considering all of your options. You may want to convert your loft into another bedroom or an office space. You might want an extra bedroom added to the house or simply to extend an existing room. Of course, while accepting they require the extra space, it can be difficult for clients to see the potential in their own property. This is where you need advice from someone who not only has industry knowledge but also knows that pressurising a client into a project they’re uncertain about benefits no one. Builders Guildford based can advise you on what’s possible and generally offer you impartial advice about which solution may work best for you. Builders in Cranleigh are especially aware that any development needs to thoroughly complement the landscape and fit naturally into the neighbourhood. If you choose the right Cranleigh builders for your extension project, then you can be assured that you’ll get excellent support from contractors who won’t pressure you into any building work you’re uncomfortable with. The best relationships between client and builder develop when there is complete honesty between the parties and the ideal way to ascertain whether a company is going to work for you is to check the work they’ve done for others via testimonials and the like. 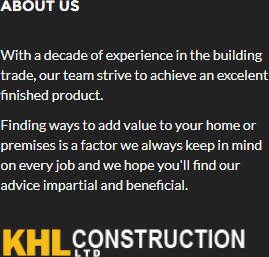 If you’re searching for a reputable Surrey builder, then consider KHL Construction Ltd.
With a long and rich history, KHL Construction Ltd is one of the foremost of all the builders Surrey wide. 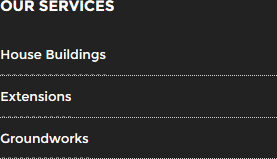 A family-run business, founded in 1960, we offer an extensive and complete range of building services for both the domestic and commercial sectors including home builds, extensions and groundwork services. If you’re searching for home building or extension solutions then consult the premier builders Guildford based and see what we can bring to your development project. 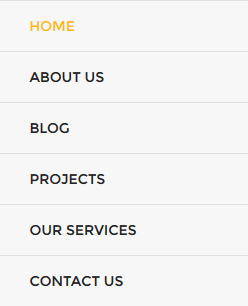 On our website at http://khlconstructionltd.com/, you can browse through our recent projects and read client testimonials. Then why not call us on 01483 277560 or email support@khlconstructionltd.com to discuss your requirements?